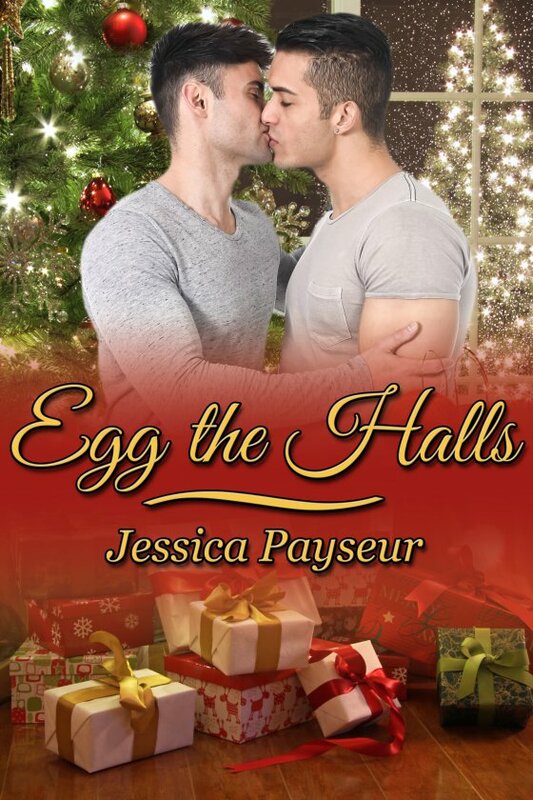 Egg the Halls by Jessica Payseur is now available! With the horrors of Halloween behind them, Kiko and Dom turn their puzzle solving skills to surviving the holiday season. Dom hasn’t had a proper Christmas in years, and Kiko’s sister visiting makes him feel almost like family — until his brother, Devin, decides to show up and throw his disapproval into the mix. Just when it seems like they have enough to deal with at home, local artist Cat asks them to solve her vandalism problem. Still shaken from their last mystery, Kiko and Dom only agree to help her due to the lack of murder. But when the property damage escalates and Kiko begins receiving threatening letters, this harmless little problem turns deadlier than anyone thought. And if they can’t get to the bottom of the family drama fast enough, Kiko might never be home for the holidays again.